Get as close as 21 on each of the five hands or add 5 domino tiles on hand - click on the tiles with arrow. Some tiles have multiple values - select the appropriate. 21 of the first two tiles is blackjack. 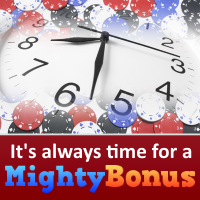 Get limit per round (total score of five hands) and play it again - up to 5 times. You can sk..